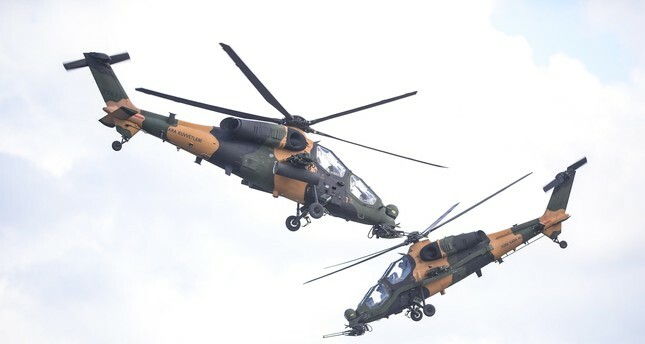 Turkish Defense Industries President İsmail Demir has announced that a new attack helicopter is being developed, stressing that it is better than Turkey's first "home-grown" helicopter, the T129 Advanced Attack and Tactical Reconnaissance Helicopter (ATAK), Daily Sabah reports. "You will all hear soon. ATAK is in the top five in the world. There is a lot of interest in this regard," Demir said in a live broadcast on Kanal 7 yesterday. Developed from the combat-proven AgustaWestland A129CBT, the new aircraft incorporates a new system philosophy with a new engine - the LHTEC CTS 800-4A - new avionics, sight systems and weapons, modified airframe, an updated drive train and a new tail rotor. Turkey recently sold Pakistan 30 ATAK helicopters, and the helicopters will be delivered gradually over five years. The deal with Pakistan is the biggest single export deal for Turkey's defense industry.